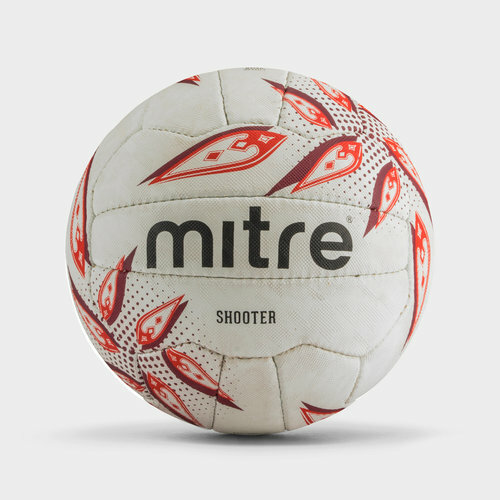 The ball choice of the professionals, for the important matches and training sessions choose the Mitre Shooter Netball. This match and training netball from Mitre has been designed for the very elite, utilising an advanced pimple design on the surface, make fast transitions up and down the court and enjoy greater pass accuracy. A popular choice among many teams and clubs, this ball has an excellent feel on all surfaces in any conditions. Designed in white with flashes of colour, this ball will stand out on the court alongside you and your team's slick new handling and shooting.